In August 2012, Annie Dookhan, a veteran chemist with a Massachusetts state drug lab, admitted to contaminating samples and faking test results during her 8 1/2-year career. More than 20,000 drug convictions, as a result, could have been flawed. Those cases involved defendants from eight different counties, and in many instances people had been sent to jail and some even deported. What has followed, however, has been more than four years of legal combat. Prosecutors have sought at almost every turn to preserve as many convictions as possible, while lawyers for the potentially innocent defendants have urged the state’s courts to vacate every conviction that relied on Dookhan’s tainted work. Prosecutors fought efforts to allow those jailed or imprisoned based on potentially suspect evidence freed pending a review of their cases. Prosecutors at one point argued they actually had no obligation to inform those convicted of their possible innocence. Not surprisingly, it took four years for prosecutors to even attempt to systematically notify the thousands of defendants that their convictions might have been won unfairly. And when prosecutors at last mailed a formal notice, it lacked essential information about developments in the case, was poorly translated into Spanish and did not clearly say who had sent it, according to lawyers for the defendants. Around 6,000 of the notifications were returned as undeliverable. One prosecutor suggested that many of the defendants might be too poor or caught up with mental illness and addiction to care about contesting convictions on their records. For those who did want to challenge their convictions, prosecutors argued they ought to be required to come forward individually and affirmatively establish that Dookhan had mishandled evidence in their specific case. To date, lawyers for some of the defendants have generally prevailed in the prolonged and incremental fight. But it has taken now more than 50 months, and data from court filings suggest that just 1,700 or so defendants have sought or received relief from their convictions. On Nov. 16, prosecutors and defense lawyers will be back in front of the Massachusetts Supreme Judicial Court to argue over whether a wholesale reversal of the thousands of convictions is an appropriate measure. But while the Dookhan debacle has presented any number of daunting challenges, the core question throughout has been the extent of prosecutors’ obligation to help rectify past wrongs, especially when faced with the very real chance that some number of people were wrongly convicted. Defense lawyers are not persuaded. “If you think that the person is guilty, then your obligation is to go out and get a clean conviction, not to protect the dirty conviction, the tainted conviction,” said Matthew Segal, the legal director of the ACLU of Massachusetts who has been helping represent Dookhan defendants since 2013. Over the years, crime labs have been a regular source of scandal — in Houston and St. Paul, Oklahoma City and San Francisco, among other places in the U.S. Indeed, the Dookhan fiasco is only one of two scandals to have recently upended the criminal justice system in Massachusetts. In 2013, another state chemist was found to have tampered with evidence, and a 2016 report from the state attorney general found that she had tested drug samples while intoxicated herself over a period of about eight years. Prosecutors have not yet produced a definitive list of defendants affected by this latest embarrassment. ProPublica’s reporting on the widespread use of what are known as chemical field tests in making drug arrests has also highlighted shortcomings in the performance of crime labs. The tests — inexpensive chemical pouches used by street cops to indicate the possible presence of illegal drugs — gained popularity as crime labs became increasingly overworked and under-financed. The tests, known to be unreliable, nonetheless have often become the lone alleged evidence used to gain thousands of guilty pleas across the country. In Las Vegas, the police department’s crime lab spent years detailing the risks associated with field tests, but nonetheless still supports their use in criminal prosecutions. In Houston, where hundreds of people were wrongly convicted in recent years based on flawed field testing, delays in the local crime lab meant it took months, even years, for confirmatory tests to ultimately prove people’s innocence. Today, two years after the wrongful convictions were identified, prosecutors have yet to successfully track down all of those affected. 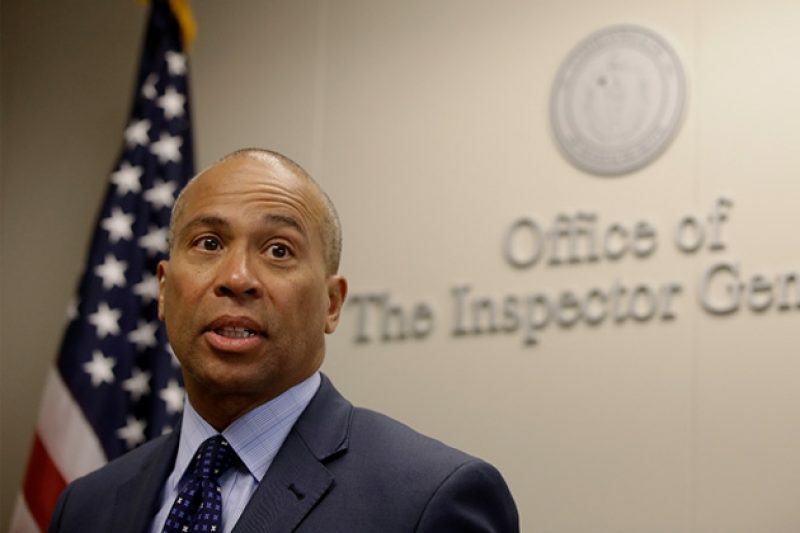 At any given time, Massachusetts makes use of a number of crime labs, many of which are overseen by the state police. They collectively provide analysis of everything from fingerprints and DNA to drugs, explosive residue and firearms. Dookhan’s work at one of the labs — a part of the William A. Hinton State Laboratory Institute in Jamaica Plain — had drawn some concern as early as 2009, according to a subsequent investigation of her career. But she had already left the lab when, in 2012, the state attorney general’s office opened a formal inquiry into Dookhan’s past performance. On Aug. 28, 2012, during an interview with investigators, Dookhan acknowledged that she had manipulated samples to turn negatives into positives and also made up results for samples that she had not actually tested. Two days after Dookhan spoke with police, the governor closed down the drug lab. Soon after, the head of the Department of Public Health and two other officials left their posts. The governor also created a task force to identify all the samples that Dookhan might have tested during her almost-nine years at the lab, and the criminal defendants associated with them. By November of 2012, the task force had identified about 2,000 defendants who were still in custody for criminal cases built in part on Dookhan’s “evidence.” Judges started temporarily allowing some incarcerated defendants out from behind bars. The newly freed, however, were to be tracked while they set about contesting their convictions — through GPS monitoring, home confinement, probation check-ins or other measures. The Essex District Attorney’s office, for one, opposed this from the get-go, arguing that the courts lacked such authority and that particular Dookhan defendants, if released from custody, would present public safety risks. The state’s top court largely disagreed, stating in a July 2013 decision that “the interest of justice is not served by the continued imprisonment of a defendant who may be entitled to a new trial.” As a result, some defendants had their liberty granted or preserved. That same year, prosecutors came before the state’s highest court once again, this time arguing that the people who had come to be known as the “Dookhan defendants” had to prove, one by one, that the ex-chemist had mishandled evidence in their specific cases. Prosecutors insisted on this even though Dookhan herself had said that she might not be able to distinguish between properly tested samples and those for which she falsified results. The court decided that Dookhan’s “particularly insidious form of misconduct” was “a lapse of systemic magnitude in the criminal justice system” — one that warranted giving defendants who had pleaded guilty the benefit of the doubt. If defendants could show that Dookhan had signed the drug analysis certificates used in their individual cases, then they were entitled to a “conclusive presumption that egregious government misconduct occurred,” according to a March 2014 decision of the court. The court held, however, that the defendants still had to demonstrate a “reasonable probability” that, had they known of Dookhan’s involvement, they would not have pleaded guilty and instead opted for a trial. Less than a year later, district attorneys had a new argument for the top court. They wanted the court to bless the idea that the Dookhan defendants who rescinded their guilty pleas could potentially face “revived” charges, including more serious ones that prosecutors had dropped as part of the original plea deals. On a practical level, this meant that defendants who chose to challenge their flawed convictions would be doing so at the risk of more jail time, should prosecutors succeed in securing a harsher sentence the second time around. “You can imagine the chilling effect that has on the client. It slams the door,” Segal said. The state’s top court agreed with the Dookhan defendants and ruled in May 2015 that district attorneys could not charge defendants with more serious offenses or obtain punishment beyond their original sentences. All along, prosecutors had yet to establish comprehensive lists of Dookhan defendants’ names and other key information, such as birth dates and docket numbers, even though several district attorneys’ offices had submitted versions in late 2014 and 2015. Indeed, it was not until last May — just shy of four years after Dookhan’s confession — that prosecutors submitted actionable lists that could be used to notify defendants whose cases might have been tainted by Dookhan’s work. The total number of cases exceeded 24,000. Public defenders, given a potential population of thousands of clients, have argued that the only reasonable way to proceed would be to wipe away the Dookhan convictions en masse. The state public defender agency does not have access to enough lawyers to represent all those defendants in a timely manner, said Nancy Caplan, the attorney in charge of the agency’s Dookhan response. Prosecutors have countered by saying it’s unlikely an overwhelming number of people would flood the system seeking redress. Many of them, after all, were actually guilty, and had likely moved on from their punishment, one prosecutor claimed in an August filing. Others were likely dealing with issues of poverty, mental health or addiction, and were too consumed with getting on with their lives to want to contest their convictions, according to the prosecutor. As a result, sticking with a case-by-case approach makes sense, district attorneys have argued. “That’s a pretty clear strategy for avoiding the flood by requiring poor, uncounseled defendants to jump thru hoops. And it is absolutely not anything that could resemble justice,” Segal said in reply. In September, prosecutors mailed out about 21,880 notice letters to Dookhan defendants. At least 5,767 letters came back as undeliverable, and they were unable to find defendants’ addresses for an additional 1,006 cases. As of October, about 200 defendants had filed motions or received relief after responding to the mailed notices. The limited response, defense lawyers said, was not hard to explain. The notices, they said, were missing important details about past and ongoing litigation that could influence decisions on whether or not to pursue a challenge. And the accompanying Spanish translation was hardly adequate, they said. The state’s highest court will hear oral arguments on the fates of those thousands on Nov. 16. A formal written decision, though, could take months.